Our factory are the professional chair covers manufacturers in China, who have been producing chair covers, chair cover sashes, organza overlays, table clothes, napkins, bar stool covers, pre tied bows, expand bands, gathered table clothes,high bar covers, cocktail table covers for Northern American & European market for many years. 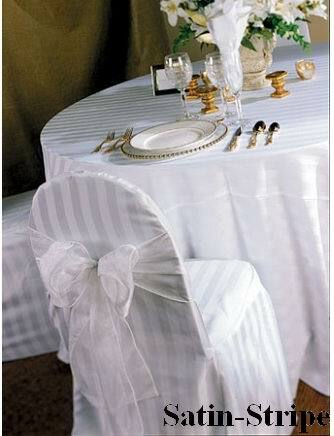 All of our customers are satisfied with our quality and most of them take us as their sole chair covers suppliers. If you are doing business of banquet chair covers, party chair covers, wedding chair covers, chair covers hire, chair covers rentals, chair covers wholesale or chair decoration, please contact us for the chair covers patterns or chair covers styles. Materials can be Polyester satin, polyester matt satin/lamour, polyester satin stripe (polyester imperial stripe), organza, chameleon, taffeta, polyester solid oxford, poly/cotton damask, Polyester VISA, polyester damask, polyester twill, polyester Gabardine, spandex fabric/Lycra fabric,scuba fabric, crushed taffeta, pintuck taffeta . 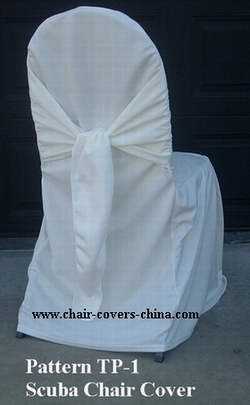 We have about 300 styles of chair covers for our customers to select. 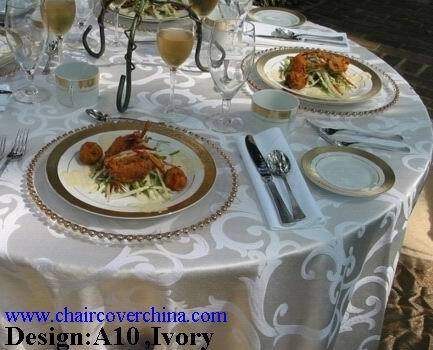 Of course, we can make chair covers according to your samples. For Table cloth, good quality to anti wrinkle, easy care. Size: 54" x 54", 54" x 72", 54" x 96", 52" x 114", 54" x 120", 64" x 64", 72" x 72", 81" x 81", 85" x 85", 90" x 90", 90" x 44", 60" Round, 84" Round, 90" Round, 108" Round, 120" Round, 132" Round, Napkin 20"x20". For organza, we have about 227 colours. For Polyester VISA & Polyester Damask, we have about 53 colours. For taffeta that can be made into chair covers and sashes, we have about 82 colours. For polyester solid oxford, we have colours: white, black, Ivory, Burgundy, pink and chocolate. For poly/cotton damask we have many colours and many designs. For scuba fabric, we have white,Ivory, black, Cream, Chocolate Brown and Burgundy. For spandex fabric, we have white, ivory, Gold, Black, Antique Gold, Red,Hunter, Neon Pink, Neon Orange, Fuscia, Orange, Neon Green, Neon Yellow, Silver, Turquoise, Royal Blue, Purple, Yellow, Burgundy and Chocolate Brown at present. 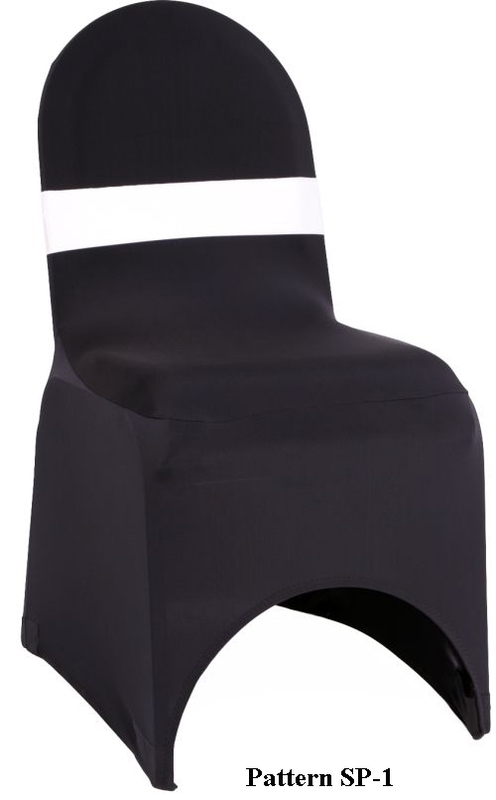 5. accent bands, ballroom chair covers,barrel chair covers, black chair covers,chair bows. Ningbo Fortune Decoration Textiles Factory.